The view from Amoxiumqua. Rubble from fallen rooms in the foreground; Sandia Peak in the distance. Amoxiumqua was occupied from 1350 to 1650. The site isn't visually stunning but it's impressively large. 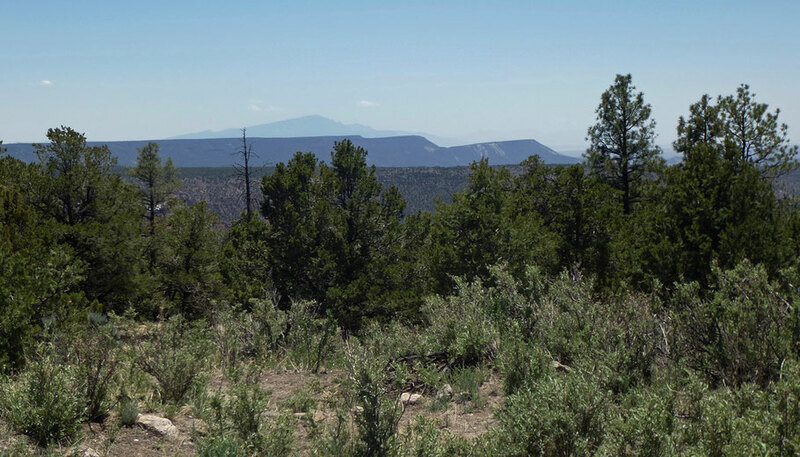 Also, the hike to the site provides you with great views of the Jemez River Canyon. To find the site, use this password-protected page.